Wonder Woman, can be found here. Tis the season of the blockbuster, action-hero films and the thousands of fans waiting and willing to dress up like their favorite characters. But, surely while we rave for our superheroes on the big screen, it doesn’t seem farfetched to embody some of their character off-screen. Especially, when it comes to travel safety. One of my personal faves and one that has me hyped for the summer is Wonder Woman. She represents the physical and mental strength that we all hope to portray when we’re on an adventure in new destinations and countries. I keep reminding myself that I want to be like her when I grow up. And more so when it concerns travel safety. So, what would Wonder Woman do? Just think about Wonder Woman. She’s strong and brave. She leaps head first into any dangerous situation to protect others. And, combats and defeats the vilest and ruthless villains whether it’s petty criminals or supernatural foes. I’m not claiming that jumping into danger means we will be more like Wonder Woman. Rather, let us show compassion toward others and act accordingly when presented with safety challenges and risks. While traveling, it’s natural to think about personal safety first. With violent and terrorist attacks happening so often, it would be obvious to seek refuge over anything or anyone else. Even flight attendants have trained us to put our safety mask on before we help anyone in the event of an emergency. It’s a lot like defensive driving though. When behind the wheel of a vehicle, the aim is to anticipate and avoid conditions that may be harmful and dangerous. Despite the action of others, the risk of collision decreases because our awareness of everyone else’s mistakes increases. So like Wonder Woman, we can take care of ourselves by being conscious of everyone else. It’s the same concept when we’re traveling. It isn’t a singular experience. We’re also traveling for everyone else as well. We hope to enjoy our adventure to then return and share with others about our experience. 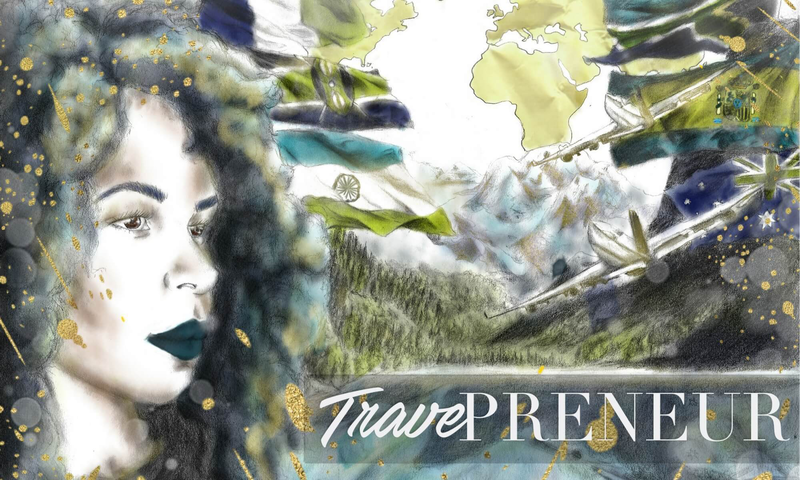 Think of the dozens of bloggers, travel personalities, and celebrities we admire and follow daily. Because of our attention to their mistakes or experience increases, the risk of any issue decreases. Another Wonder Woman quality to exhibit when we’re traveling is staying alert. We are no longer in the days where we can say “We shouldn’t have to…” or “It makes no sense that I have to…” We are no longer there! We have to be our own protection. We also have to be alert for ourselves. Not being distracted by countless things, such as our phone, our experience, or our excitement. Wonder Woman lives in a society where there is always a crime. And when we’re traveling, the risk of danger triples because we’re in a foreign territory, we may be traveling alone, or we may not know the language. Wonder Woman has the intuition to know when something’s not right. 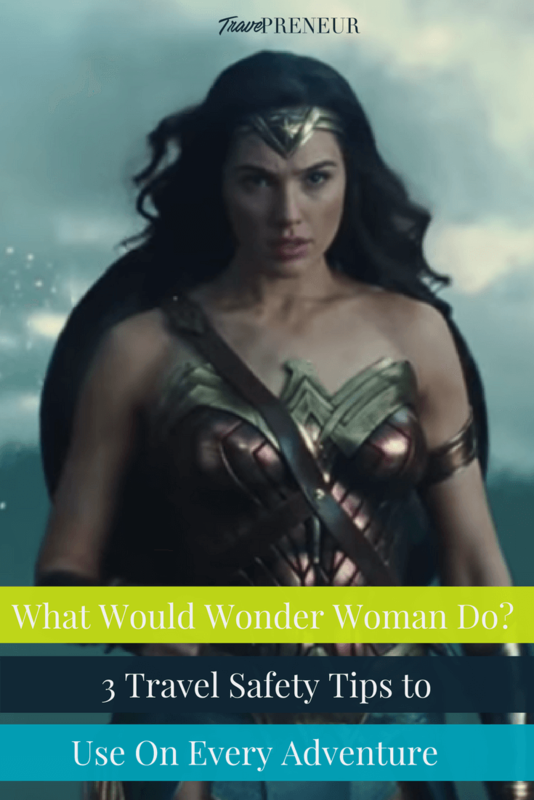 Let’s hone our Wonder Woman-like intuition when it comes to these factors. 1. Walking alone at night. People tend to do things at night to get away with it and not be seen. As a tourist, they assume that because we’re traveling, that we are carrying money and expensive possessions. We are an easier target when we’re focused on our excitement for adventure instead of our stuff. It’s ironic that we often stereotype bad guys as a male, grimacing, and brooding with evil. But, swindlers come in all shapes, sizes, and ages. Don’t overlook the little old ladies or the innocent looking children playing on the street. We have to be careful of everyone. Not to be paranoid but to be aware. Eliminate distractions. The more alert we are, the better. Wonder Woman also exudes power. She is confident and knows that she is a trained and master at what she does. We too can be a master. At travel, that is, if we prepare well. Have you ever had someone say to you, don’t look like a tourist? But, what does that even mean? If we’re a US Citizen traveling in Asia, or a Cuban Traveling in Africa, how do we not look like a tourist? Our identity makes it obvious that we’re from a different country and background, which essentially screams that we are a tourist. But, let’s break that down. It’s not about our looks. It’s about the way we act and the manner in which we carry ourselves. Most often, tourists don’t know where they’re going. If we appear lost, then we can become targets for theft and fraud. When I first started traveling, I was told to not look like a tourist and to not look suspicious. Well, that just caused me to overthink everything and definitely look suspicious. So, the simple explanation is to be mindful of what we’re doing. To help us not look like a tourist is to have a plan. I know others like spontaneity, but if we’re going to a new place, it’s always a good idea to know where we’re going and what we’re doing. If that means knowing exactly where events and activities are happening, or what train, bus, or metro to take to get to our destination. Then that’s what we need to do. We do not want to be distracted by what we don’t know around people who do know. They have the advantage. We never want to give them the advantage to take advantage of us. Wonder Woman has a sense of power. While we are traveling, we also want to exude this power; the ability to take command of our space. We may not be from that country, but while we are there we get to own our space and our own experience. Wonder Woman, the latest superheroine to grace the screen is confident, brave, and always alert to dangerous situations. So why not build a Travel safety tip guide based off the Amazon Princess? 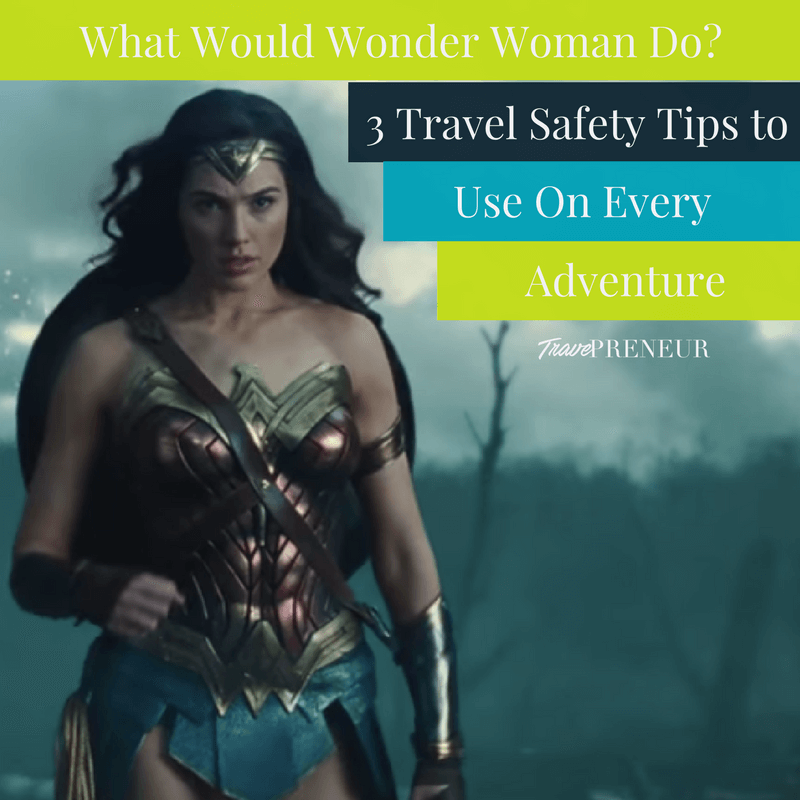 What other Wonder Woman travel safety tips can you think of? Comment below!